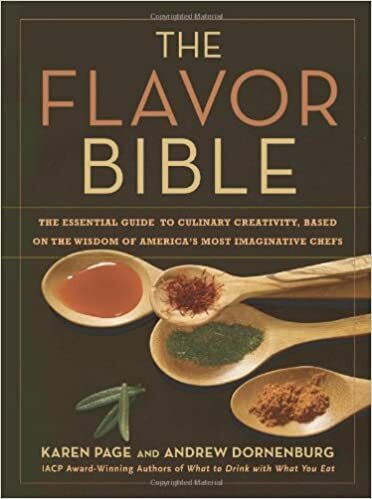 Check out this great book called The Flavor Bible . It's a reference book where you can look up an ingredient and it will tell you everything that matches well with it. It helped me a LOT when I was learning to cook. I also recommend An Everlasting Meal: Cooking With Economy and Grace . This book taught me SO MANY techniques on cooking meat and vegetables, ways to stretch and re-use ingredients, and recipes. It's an incredible meditation on cooking, written by a famous chef named Tamar Adler (of Prune in NYC). My cooking-fu went up by 15%-20% just after reading that book. for nutrition, head on over to your Health Care Provider's website. They should have many helpful articles on eating right. Failing that, check out WebMD's suggestions. I'm gonna presume it's just you (for now at least). One of the things you'll notice about a lot of recipes out there is that the serving sizes. Check out r/CookingForOne. Also look over r/AskCulinary. It has a great FAQ (covers books, equipment and ingredients for beginners and experts alike) and Index. Watch some Julia Child and Alton Brown videos. for books, head over to your used bookstore and get yourself a copy of The Joy Of Cooking , Ratio and The Flavor Bible . This last one will help you a LOT with your spices. Yes, I'm suggesting that you spend money. But the equipment (knives, cast iron, etc) and books are an investment. And you don't have to get them all at once. Finally, it's great when you find items on sale in the produce section of your local market. But if it spoils before you use it all, it's wasted money and food. This is when your local salad bar can be a great help. Edit: get yourself a rice cooker/steamer. a simple one-button model is all you really need. Always perfect rice and you can steam your veggies in the basket as well. Much healthier. Also, once you get more confident, you can look up some copycat recipes for your favorite fast food restaurant items. The Flavor Bible gets thrown around a lot, but for good reason. It's a great resource when trying to formulate your own recipe. It focuses on things like which foods have affinities for other foods, seasonality, and sensations different foods have. It's a great thing to page through when you have whatever the equivalent of writer's block is for cooks. I can say I open the food lab for just about every meal. Well worth the money! Sorry for not making that a link. I'm on the app and can't figure out how to change the displayed text of the link. It's honestly a lot of trial and error and research. I'm very good at pairing Asian flavors based on my heritage and upbringing, but other cuisines I had minimal experience with I do need to follow a recipe or look up guidance until it becomes more natural to me. The Science of of Good Cooking by Cook's Illustrated is good resource for understanding what happens when you boil something, etc. There's a ton of technique books out there, but I really like Michael Ruhlman's Twenty because it balances explaining the basic concepts and showing applications. The Flavor Bible and the Flavor Thesaurus will help you build up an intuition for flavors. The Flavor Bible is a great reference for understanding flavor combinations, especially for ingredients you are less familiar with. But it's no substitute for just eating. Eat new and different things and develop your palate. Pay attention to each new food (and ones you've had you may over look) you have - the smell, the temperature, texture, and taste. These are the things you will try to replicate. Don't be afraid of ruining what you cook! Every good cook has failed hundreds of times and has taken lessons from that. Start with a recipe you like now and want to know how to make on your own. Mess it up. See what you learn and get better at it. Most recipes use multiple techniques so you'll be able to apply what you learn from one dish to another.